You can write the best blog post, but if you can’t get people to read it, it’s not effective. The headline is what draws the reader in. 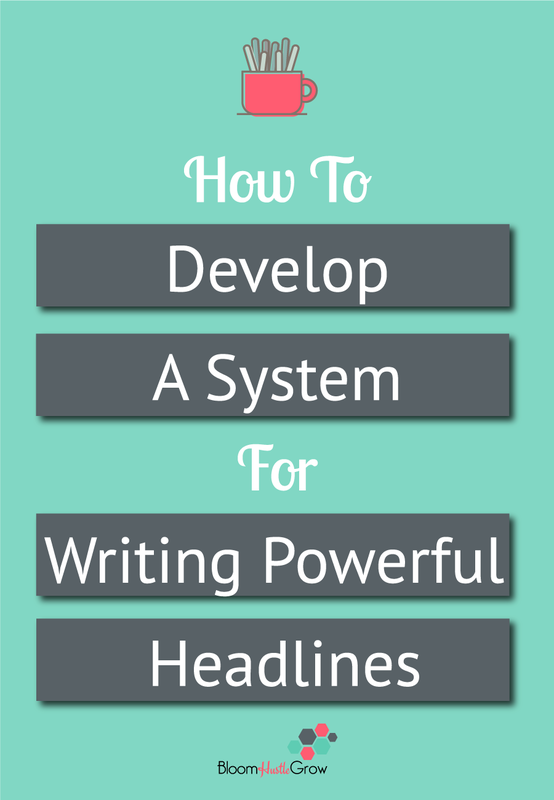 For me, headlines can be the hardest part of writing a blog post. I’ve scoured the internet researching how to develop a better headline, and summarized the major tips below. BUT, you don’t want to have to read through a post every time you go to write a headline, so I put together a workbook to make it even easier. Grab the workbook! This tactic is debatable from my research. If you are sure your blog post won’t take a turn when writing than my all means, write your title first. But if you’re like me, blog posts can take a slightly different direction than when I first start writing. It’s easier for me to go with the writing/research flow than to try to focus myself to write a post that fits a title. Besides, why waste time writing a title when it might not fit. The argument behind writing the title first is to structure your writing and make your writing more purposeful. Bottom line, do what works best for your process. The title of your post plays a role in your SEO. A big part of this, is that the title should reflect what the article is about, not rocket science, right. While it’s not do or die, you should try to fit your SEO keyword into your title. List out what problems your post solves for your audience. This can also help with picking your keyword and developing your title. When picking a keyword you want to answer the question of, ” What would my audience search for and find the answer with this article?”. The answer may be more than one thing so list out all the problems that the article solves. You can use this list to develop alternative titles. Also, think of how you want to address that audience, who are you talking to? Research shows that the perfect headline is 6 words. If your title is longer than 6 words, know that people will focus on the first and last 3 words. In Google searches titles longer than 60 characters are cut off. Most people rarely hit the mark the first time, give yourself some options. Read this article to see why science says you should develop some options. Plus you can use the alternative titles you come up with for social media posts, this works particularly well for Twitter. Try out the CoSchedule headline analyzer. It’s not perfect and you should give that it with a grain of salt. Or try Portent Title Maker or Hubspot Blog Topic Generator if you are stuck on developing those 30 headlines. Take into consideration what emotion that your title conveys. You want an emotional response, is it fear, is it curiosity, is it positive, is it negative? This article gives some great emotionally charged words. Not sure about how to go about A/B testing: read this. You want to A/B test to help you further develop what headlines formulas really work for your audience. Remember, you can use different titles for you blog post and for your graphics. Go through and find out your top 10 blog post. Why do you think these are getting the most attention? Are there certain phrases or “alignment” that you could use again? Do this too with your Pinterest boards, is there certain blog post titles that seem to get shared more. Don’t forget visual and topics can have an impact. Use a thesaurus to look up synonyms for adjectives or to tweak existing blog post titles. Stuck on a title? Google your topic and take titles from your search and put your own spin on it. How can you make the title your own or fit your post better? Do research by looking at magazine and newspaper headlines, what formulas to they use? What problem does the article solve and who is the audience?